SEWA Grih Rin Ltd, an affordable housing finance company of the Self-Employed Women's Association (SEWA) Group, said it has raised Series B funding. The lender, operating under Sitara brand, has closed Rs 67 crore ($9.8 million at current exchange rate) funding round from Oikocredit, Omidyar Network India, HDFC Life Insurance, HDFC Holdings Ltd and Women’s World Banking. The company will be using the funds to strengthen its position in existing geographies as well as to expand strategically to other states. SEWA Grih Rin is promoted by a SEWA Mutual Benefit Trust called RNT Associates (RNTA), which is one of the early investors. In 2015, the firm raised about Rs 13.5 crore from several investors. As of 28 February 2019, the company had sanctioned loans worth Rs 221.4 crore. The current portfolio stands at over Rs 131.9 crore with a customer base of over 5,700 borrowers. “Most women long for a house of their own, but women who live and work in the informal sector could only dream, knowing their wishes will remain unfulfilled,” said Renana Jhabvala, chairperson, SEWA Grih Rin. The company started operations in 2015 as an affordable housing finance firm to under-served and low-income households in urban and peri-urban locations, with a special focus on advancing land rights of women in the informal sector. (Peri-urban area is an area immediately adjacent to a city or urban area.) The company provides loans in the range of Rs 2-5 lakh for house construction, extension, purchase and renovation, with an established presence in Delhi, Rajasthan, Madhya Pradesh, Uttar Pradesh, Bihar, Maharashtra and Gujarat. “We shall be raising another Rs 100 crore soon and embed ourselves into the affordable housing finance space in India,” said Shruti Gonsalves, managing director and chief executive at SEWA Grih Rin. Intellecap acted as the exclusive financial advisor for the transaction. 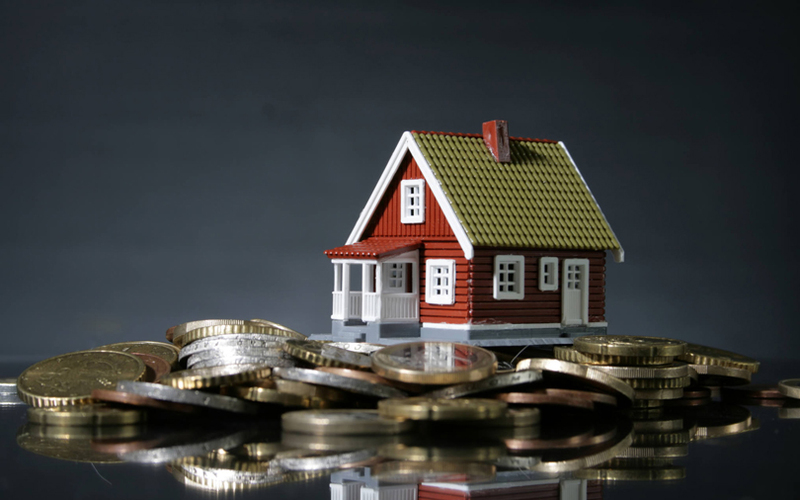 The housing finance segment has seen a flurry of investor activity. Blackstone Group, the world's largest private equity firm, inked a pact last month to acquire Aadhar Housing Finance Ltd.
Last October, IIFL Asset Management Ltd, a unit of financial services firm IIFL Holdings, invested Rs 100 crore ($13.6 million) in Tamil Nadu-based Kadaieshwar Homefin Pvt. Ltd, also known as KE Housing Finance. International Finance Corporation (IFC), the private-sector investment arm of the World Bank, had in February last year invested around $75 million (around Rs 485 crore) in L&T Housing Finance Ltd.